We do all we can to stop child abuse, all children deserve a happy and good life , We ride to make a difference and we DO make a difference. 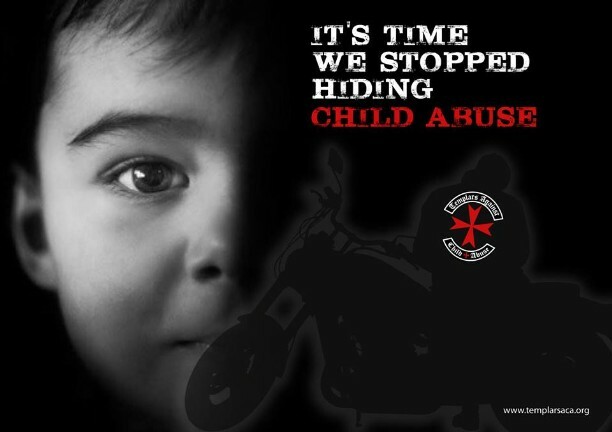 Templars Against Child Abuse (T.A.C.A) is an Order of bikers, who have one common goal - To protect Children from abuse, and ensure that they have a happy, healthy environment. We are not a motorcycle club (MC) or riding club (RC), rather a group of Men & Women who ride.... and see the importance of Protecting Our most Vulnerable. Being an Order means we work towards one dedicated Crusade. We are not interested in territory or power in the community. 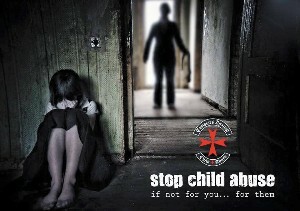 We work to prevent child abuse. We work 100% within the Law working together with Police, Social Services, & the Community. We want to be clear, we are not Vigilantes - But we will not sit idle when we see a Child being abused. 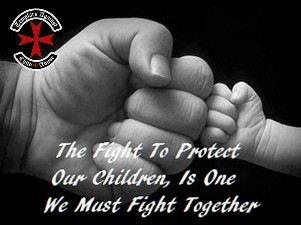 If our only option to physically interveen, we WILL protect that Child.